Following major announcements last week by the Obama administration regarding a “Privacy Bill of Rights” to protect online consumers, details are emerging that may indicate “Do-Not-Track” will be less effective than originally thought. “American consumers can’t wait any longer for clear rules of the road that ensure their personal information is safe online,” said President Obama in a statement last week, reflecting growing concern in recent months over the safety and ethics of tracking and storing user data online. The statement went on to explain that 90 percent of the companies that deliver web advertising to consumers — including Google, Yahoo!, Microsoft, and AOL — had gotten on board with restrictions that would allow for modern web browsers to tell websites to stop tracking surfing behavior. The “Do-Not-Track” button, an HTTP header transmitted to each webpage, would designate the browser as off-limits to targeted advertising. “It’s great to see that companies are stepping up to our challenge to protect privacy so consumers have greater choice and control over how they are tracked online,” said FTC Chairman Jon Leibowitz, regarding the proposed changes. A loophole in the agreement, however, would exclude so-called “first party” websites, such as Google, Yahoo!, and even major publishing and commercial hubs such as The New York Times and Amazon, from being included in the restrictions. Because consumers go to those pages directly, advertisers argue, there is an implicit understanding that they will be advertised to. Enabling “Do-Not-Track” on these sites will make no difference. What this really means is that only third-party advertisers, such as DoubleClick — the massive advertising network owned by Google, which works by aggregating user data across various websites and building a personal advertising profile — would have to stop collecting personal information about browsing habits if users enabled the “Do-Not-Track” feature. In agreeing to the terms of the bill, online advertisers could face stiff penalties by the FTC for non-compliance. Advertisers reserve the right, however, to collect anonymous data for market research, such as website usage statistics. The display advertising industry generated $7.88 billion in revenue in the third quarter of 2011. Google, on the other hand, made nearly $40 billion in 2011, almost exclusively through its search related advertising — which will remain unaffected. “We cannot accept any ‘deal’ that doesn’t really protect consumers, and merely allows the data-profiling status quo to remain,” said Jeffrey Chester, executive director of the Center for Digital Democracy, according to a statement on the CDD’s website. Many critics feel that in agreeing to the administration’s terms now, the tech industry is actually hedging its bets, hoping to appease consumers and Congress without substantial changes to the way privacy is managed online. Others within the advertising industry, though, seem leery of the changes: “The reality is if you had 50-80 percent of consumers opting out it could have a really significant negative impact on the third-party ad model,” Mike Zaneis, of the Interactive Advertising Bureau, told The New York Times. 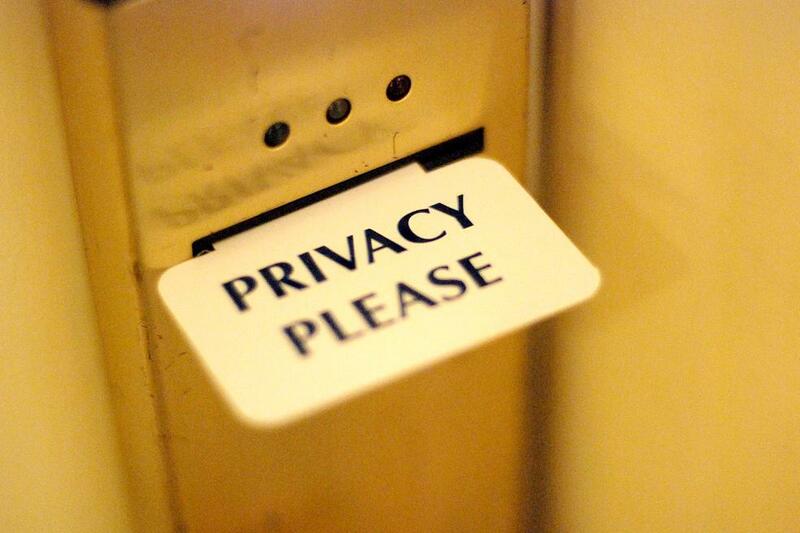 The “Do-Not-Track” button in its current form will allow consumers to regain a degree of online privacy, but does not live up to the promise of a truly anonymous browsing experience — at the very least, it will add more confusion to the already grey area of online privacy.